Just like other animals, some dogs do not want the food you have fed them. This guide is about feeding a dog who is a picky eater. I brought home a 4 year old rescue Chihuahua that I had a terrible time getting to eat. After trying bags and bags of dry food and hundreds of cans of wet food, I finally came up with a solution that got him to start eating. When I couldn't get him to eat, I took the dry food and soaked it in a little water to make it soft and then put it in the food processor. It made his food the same as wet food, but provided a different option for him. Now he eats it both ways. The vet told me this was good that I thought of this, because he had a bad tooth and the wet food kept the pressure off of it and still allowed him to eat with less pain. Now he's doing great. I feed him Royal Canin Chihuahua 28 food. He likes it a lot. Hope this tip helps some of you out there! Good luck. I have a toy Pomeranian who hasn't eaten, but half of a little Caesar's pack. You gave little information of importance, like, How old is the dog? How long has it not been eating? Did you recently changed its food brand? Maybe the lil dog has a bad tooth with pain or something else going on. I would take the dog to see the vet to have all that checked out and the vet will more likely ask you other questions to help determine the problem if it is not visible. Keep giving her want you intend her to eat. Put it in front of her and give her half an hour to have at it. When she doesn't, remove it. Put it back in front of her at the next mealtime and do the same. Eventually she will be trained to know she can't be so choosy. It works. Is anyone having trouble feeding their miniature Poodle? He doesn't like hardly anything. I have given him chicken, rice, and dry dog food put in a food processor. Then I have to feed him with a spoon. I've tried every dry food and canned food, even the pouches and he doesn't like them. Have you ever seen a dog turn down treats, mine does, including steak or anything. The vet even tried to give him this canned food that he said he would love. Guess what? He wouldn't eat it. His father was like that, as well. I asked the breeder why is he so skinny. She would respond, "He has food over there, he just doesn't want to eat." When she told me that I got scared. I started feeding him. He still goes around and looks for food everything he has and he has a lot he doesn't want. How do I find what he wants to eat? Are there any poodle people out there having my problem? He is perfectly healthy always. Has all his shots and vet visits at least 2 times a year. She says he is very healthy. What do I do? I'm at my whits end; I love this dog so much. When my girls were tiny babies I went through days where they would not eat. One is a poodle and the other is a poodle mix. I bought Nutri-Cal Dietary Supplements. This stuff is excellent to stimulate appetite and provide energy for finicky eaters. My girls loved this stuff and looked forward to their daily dose. I gave them the squeeze tube gel. They did start eating and are very healthy to this day. They are both nine years old. You can purchase at www.petedge.com You will find it under supplements. I don't know what state you live in but you probably can find it at PetsMart and Petco or your local pet store. Not sure how you are going with your poodle? I just saw this post, so I'm not sure if you have solved your feeding issue with your poodle? I have a 12 month old apricot mini poodle. He is shocking to feed. I tried everything you can imagine to feed him; wet, dry, homemade, barf, everything, he hated it all. He is very underweight too. I've been buying raw chicken mince carcass and mixing it with steamed vegetables. He has that, very reluctantly, in the morning. At night, I leave out for him to nibble on Royal canine puppy dry food, which he would sometimes eat. A week ago he stopped eating his food, again. He is so thin, so I asked the pet food shop what I could do to fatten up my dog. She advised I buy him minced (raw) lamb and other fatty off cuts, but she had sold out of that meat. I went to my local butcher and asked him if he had and lamb, beef, chicken, whatever off cuts he could mince up for me. He did! I went home and gave some to Olli and he loved it! Happiness! At last, I have found something fatty and somewhat healthy for him, which will hopefully put weigh on him. I also changed his dry food to Advance super premium dry dog food. It is an Australian brand dry dog food. He will nibble on that at night. I just hope he gains weight because he is far too skinny for my liking. I hope this post will help. I have a 4 month old Chihuahua who is picky and only eats his dog food when he gets too hungry. It seems like he holds out longer than he should. I think he is hoping he will get some of our food, but I have always been told our food is not good for them. It worries me because he is already too skinny. How do I get him to eat his dog food on a regular basis so I know he is getting enough nutrients and things? And also gain a little bit of weight. I was told the people who had him before gave him people food so I think that is what he is used to. I just want to keep him as healthy as possible. I am getting worried about him because he has been this way since we have gotten him. He is almost 5 months and we got him when he was about 3 1/2 months old. He was 2.5 lbs. then and within a week and a half of having him he gained 5 oz., but I don't know if he is gaining enough. I will be taking him into the vet, but was wondering if anyone knew any little tricks for a picky eater or other suggestions. It won't hurt him to feed him some veggies & even some fruit, its good for him. You can also feed him some chicken. I have a Chi-Pom and she eats veggies & some fruit I give her, I make chicken jerky for her treats (no preservatives or spices) and she eats her dog food when there isn't anything she likes offered. Our Vet believes the opposite, table foods are good as long as they are controlled, get some recipes for pets. Good luck. I don't believe in letting dogs have any table scraps. Especially small dogs like chihuahuas. Your dog is being picky, but you can not give into letting it have human food. Maybe try canned food and see if it will like that. If you must- after you cook something on the stove with a little bit of cooking juice/grease/or sauce- pour a little bit all over the dog food. It will season the dog food to taste like ours. Slightly warm & mash the food before you give it to the dog. The aromas make the food more interesting. Also I grind up 1 Tbsp. of dried beef liver (can buy this at the pet shop or supermarket) & sprinkle it over the food as this seems to tempt my little pom. A little bit of chopped apple - banana & watermelon is good - always peel the apple & make the pieces small enough as not to choke the dog if she eats it to fast. In Australia we can get kangaroo sticks - dried meat & the dogs love to chew on these. PS. don't overdo the dried liver as some dogs get the scours from it. No vaccines. His immune system may have already been destroyed. Build his immune system with good diet including some raw foods. Nothing commercial from the grocery store. Shop co-op, farm supply, specialty store. I, personally feed Diamond lamb and rice and some raw, some cooked foods. Fruits and veggies are good for them. Another thing I have used for years is Nzymes. Nzymes.com granules. These are good people who have studied and the owner was even responsible for uncovering bad pet foods from China. The granules are for overall health and help when you don't have fresh available. All my 7 disables, fosters stay healthy with good food. My M D dog was to die at the age of 4 with M D. He's 10 and going strong. All my kids love the organic frozen peas (defrosted please) from Costco. They get no corn, wheat or soy as is in all grocery pet foods. Google how Purina is now using euthanized pets in their pet food. That chemical does not cook off. Get on vaclib.org for ingredients in vaccines. Wow. Good way to slowly kill your dog. Parvo often comes from Parvo vac. Research raw diet, anti-vaccine and home made pet food. I also have a Chihuahua, I do give him fruits and vegetables, which he loves. I also have a dog dish which is always full of his dog food which he does eat. I have noticed that he tends to eat in the evening. Is anyone else having problems with their Bischon being a very picky eater? Your dog is picky because he's allowed to be. I'm a trainer and I've never seen a dog skeleton next to a full dinner dish! Being allowed to dictate what he will and won't eat gives him the upper hand in your relationship as well as being unhealthy physically. People food isn't a balanced diet for a dog. A lot of times, dogs don't eat what's put in front of them simply because they're not hungry! Usually it's a result of too many treats, pig's ears, rawhide bones, etc., between meals. Cut them out. In the morning, put down half of the dog's normal portion of food. Leave it down for 45 minutes, and pick it up if it's not eaten. Feed nothing else until dinner time and do the same thing again. Of course, water should always be available. If you don't cave under the pressure the dog is sure to bestow upon you and fall for the fussing and as long as everyone in the family agrees and does this, after a day or two, your dog will eat. This reverts the dog back to his roots, i.e., eat when food is available. Trust me on this; it works. And a day or two of not eating isn't going to kill him. It's a wonder that dogs even eat that stuff they call dog food! If you research this you will find that perhaps the food company's use 4 D meat in their products. 4 D stands for animal carcasses from: Drugged, Diseased, down & dead animals - I even think they might throw a little road kill in as well. It's no wonder that our cats & dogs are getting cancer. Stop feeding your dog this food he probably can smell this stuff in his food. Would you want to eat it? And oh yeah - China has put melamine in their wheat floor which goes into the dog food. Start cooking chicken for him, add veggies & rice and you will find your dogs personality will come alive! You're poisoning your dog! It's not that expensive, go to your local Shop & Save you can buy big chicken breasts, boneless & without skin for $1.16 to $1.49 per pound when they have it on sale. Did I mention you will save a lot of $$$ on vet bills as well? I have the same mixed dog, my dog is a male and refuses to eat dog food. I have tried every brand of dog food available and he won't eat any kind. He eats what I eat salads, apples, bananas potatos gravy and a small amount of meat. 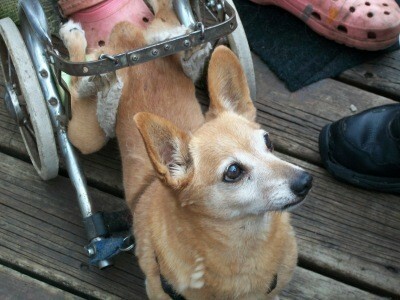 He has lost the use of his hind legs because of his long body and weak back. He is about 12 to 14 years old and has been on wheels for about 8 years. His name is Radar and I will admit he is very spoil but wouldn't have him any other way. I have a 10 month old Cockapoo. He is a very fussy eater when it comes to dog food and has even gone without food for up to 2/3 days as he just will not eat it! He loves chicken with broccoli and carrots (sometimes rice included). 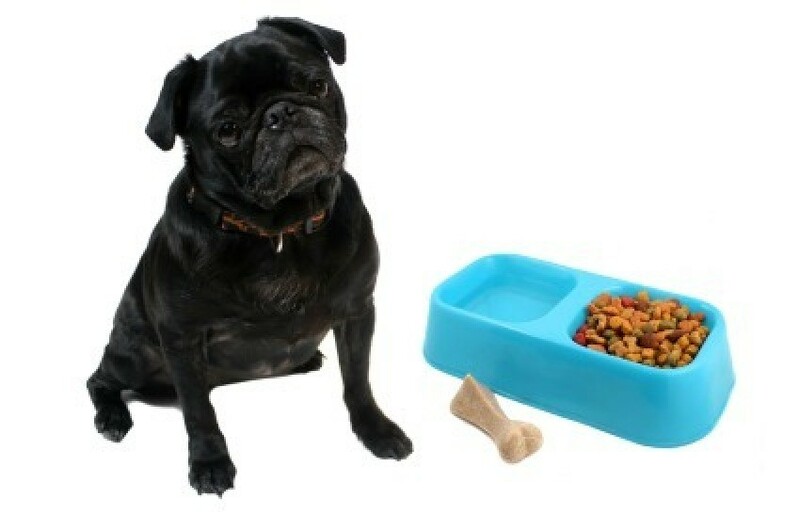 Can I substitute this food for his dog food? He is lean and I need to get him to put on some weight! I am having him neutered next week on the vet's recommendation which apparently will help him to gain weight. His worming is all up to date. I need help. I have a nine year Toy Poodle that is extremely picky. I have tried various foods and he will eat it as a last resort. Please help me find a food that he will love to eat all the time. You do not provide any medical history so it is difficult to suggest possibilities. However, if you have not taken your dog to your vet regarding this problem, please take him now. He might have a medical problem that interferes in eating (our wonderful cat of 15 years suddenly stopped eating. We finally learned that he had an inoperable cancerous tumor in his throat). There might be something in the food that he cannot handle-there can be many possibilities. However, you must start with the dog's health status before trying any "cures". Your vet will clarify your dog's health and can help with suggestions to work with your dog's eating problem. I have a three year old Boxer who has had health problems since she was born, such as allergies. She doesn't metabolize nutrients like she should, and she has had urinary incontinence since she was 4 months. Recently she stopped eating her food and only would get into the trash, now she is eating more than normal plus gets into the trash and eats anything (she has never gotten into the trash before). She is also eating a lot of grass. This is all in about a two month period. I work with dogs professionally and even I am just so stumped on what could possibly be the problem. I have been told by one vet they think I should put her down because of her health problems. I really am just looking for some advice and if anyone has ever seen this kind of thing before. She has been on very good dog food since we brought her home at 8 weeks. Also she is three years old but is the size of a six month old puppy. I got Sparky when he was 2 months old and he was fed dry food, Purina Pro Plan. Eventually someone gave him human food and he didn't want the dry anymore. He was loosing weight so I found wet dog food, Purina Pedigree, but he would only eat it if I fed him with a spoon. He is now 2 years old. I bought the same dry brand and he has gone 11 days without food. He would drink water, but then finally he ate, not much, but some. I've tried Merrick, Science Diet, Solid Gold, and now Nutro. He won't eat and even though he is still energetic around me it's starting to worry me. Any ideas? I have a daisy dog; she's overweight a few pounds, but on a small dog that's not good. She only eats human food. What's the best wet or dry food for small dog? If I put dry food or canned food in the feeding dish, my Shih Tzu will go 3 days without eating, but she begs at the table constantly. We do not feed her from the table! My chihuahua is approximately 5 years old. She is very spoiled and I can't seem to find any kind of dog food she will eat. I have tried everything. She will eat my cat's food but not her dog food. I'm afraid she isn't getting the nutrients she needs. Please help if anyone has advice. Slightly warm and mash the dog food before giving it to the dog - a good trick that I've found is before putting it down sprinkle the top with a teaspoon or so crushed dried liver - the smell seems to tempt my dogs to eat the food. Dried liver is usually available at the supermarket in the pet section or in the pet store. Don't let him be picky. This is where tough love comes in. Put the cat food up where cats can reach, but not the dog. Put dog food down for your dog, leave it for 15 minutes. If he eats, great. If not, put it up, and nothing to eat (except water) until the next meal. Do the same the next time. He'll learn to eat, and doesn't need to be spoiled to do so. I have a Bichon Pomeranian cross. She eats a little of her dry puppy food so I give her a little table scraps, but she doesn't always like that either. I have a dog exactly as you described I tried giving her cooked meat only for a little while and then switched back to dog chow. It worked but not for long so I had to mix back and forth. Hope this helps. I have a Dachshund/Pomeranian mix; he is a very picky eater. I haven't found any dog food he likes. Are there any suggestions from anyone that owns this type of breed? He is 18 months old. What do you feed your dog? Health: Did any and ALL blood work possible, clean bill of health. Mood: Active, no stool problems, no mouth problems, a happy go lucky type of dog, as 99% of Berneses are. So here is my dilemma: He is extremely picky. I started giving him as a pup BRIGHTLIFE. then he wouldn't eat that, so after a while slowly we switch him to NATURAL BALANCE. Both foods are very good, the problem is that now he just refuses to eat. People say, well stop giving him treats, and after all he is a dog, after a day or two he will eat but that's not really truth. He will skip 2 or 3 meals, eat maybe a cup and then stop, so he is actually losing weight. We even bought liver and boiled it, put in the food processor and sprinkle it in his food and he may eat a 1/2 cup and then that's it. If i try to put chicken chunks, he will dig through it and only eat the chicken. Canned food? He will eat about half of can and walk away. If I mix it, he just walks away. S my last attempt now is I went to the pet store and they told me about NATURE'S VARIETY. It is better food than NATURAL BALANCE and they make different flavors, so its good for picky eaters because I can buy different flavors like every other month or so. On top I bought something that I thought any living dog would love and it is a RAW FOOD from BRAVO to mix with it, he still will not eat it. I have a female 5 month same breed and she eats anything in sight. What do I do? I am sorry about the length, but not even the Vet can help me anymore. Medically the only option is steroids and I don't want to go that route... any pointers please? If your dog consistently under-eats it may be that he has an irritated stomach - and a blood test may not show that. They can take an acid-reducer (there are prescription ones the vet can give you, and I know there is one human over-the-counter type they can take, but I forget which one). The vet had me give it to our dog for about 2 weeks, and as she felt better, she ate better. In addition, he had me feed her "bland" dog food - all wet, turkey, rice, and egg based by Prescription (which I was only able to get through a vet). He also had me feed her half a meal, twice a day during that time. It did really help her and she started eating better. We also started making our own dog food for her after that because the Prescription dog food was expensive. We cut up 2 whole chickens, pulled off most of the skin and cooked them in a crockpot with 2 onions and water to cover. Cooked them overnight, then removed the chicken and bones from the broth to cool, then pull off all the meat and cut or shred into small pieces. We then cooked 3 cups of dry brown rice with the leftover broth from the chickens (made about 9 cups cooked). We also scramble 9 eggs and then mix the chicken, rice, and scrambled eggs together and divided up into portions for her. They do eat less of this homemade dog-food because it is much more dense and heavy than most canned dog foods. You could do the same with a small turkey. This is enough for our 50lb dog for about 8-9 days. We refrigerate enough for a few days and freeze the rest, pulling it out the day before we need it to thaw in the refrigerator. I just want to give a BIG THANK YOU to all of you for your inputs. In terms of illnesses, yes they have done all they can in terms of medical exams but here is the latest. We were having a BBQ, by accident I dropped a hot dog on the grass and he just swallowed the entire hot dog. So my idea was, hey he loves hotdogs! Now I know what to mix with his food. Well I mixed the raw meat, kibble and one hot dog into tiny little pieces. He put his nose on the food, licked anywhere he found a piece of hotdog and walked away from the rest. So my wife and I are just tired of it, it's obvious he's hungry because he will eat but not dog food! I think we will go back to just the dry food and just put it down for 15 minutes and then take it away. He will and we will suffer because he will lose weight, all I hope is that it is a teenage fling and he eats eventually otherwise I will need to give him steroids. Even then, steroids can only be given for a short time. I tell you, I never thought it would be this hard to feed a Bernese. My girl Bernese swallows anything you give her. Hi, I had a Siberian that was so picky! I tried all types of foods, and kept a log book, then hand feed her, she loved this. Then aslo a good one, dry food in a plastic bottle for her the play with and when she got lid off after 2 hours, her treat! My vet also said it was ok to give my doggies green beans and carrots as they LOVE them. My yorkie thinks canned carrots are the best treat in the world. My dog is training me, he is a picky eater. I started to make him his food, because he would not eat his regular kibble, which was good quality.